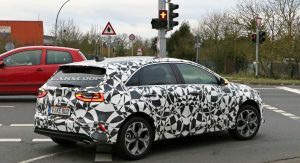 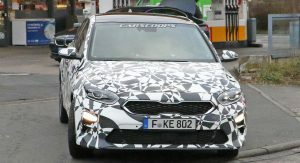 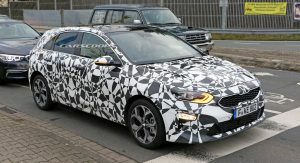 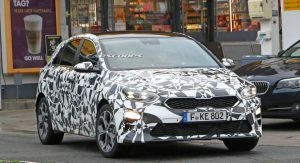 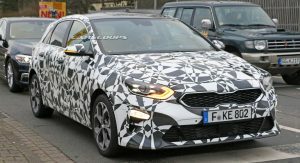 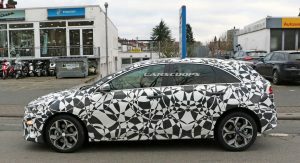 Kia is putting the finishing touches on the all-new Cee’d as spy photographers have caught a camouflaged prototype ahead of its debut at the Geneva Motor Show. 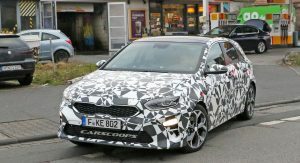 Previewed by the Proceed concept, the production model has a sportier front fascia with an upright grille and LED-infused headlights. 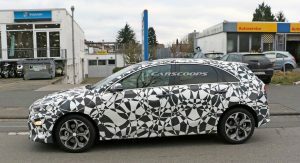 Designers also installed sporty air intakes and angular fog lights. 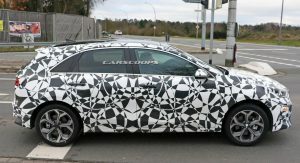 Moving further back, we can see a rakish windscreen and an upward sweeping beltline. 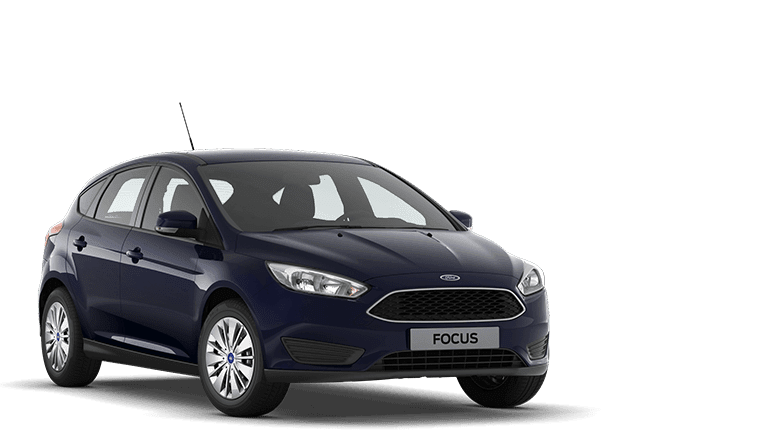 Other notable styling features include a gently sloping roof, attractive alloy wheels, and eye-catching LED taillights. 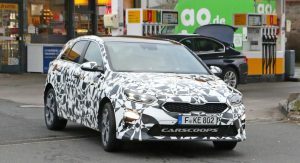 Kia hasn’t said much about the Cee’d but the company’s research and development boss, Dr. Woong-Chul Yang, recently confirmed the model will have a 48 volt mild-hybrid system. 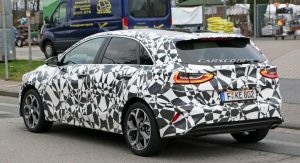 Little is known about the setup but Yang said the system will help the car to meet increasingly stringent emission standards. 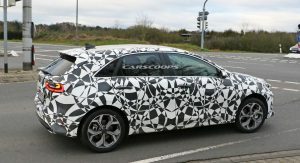 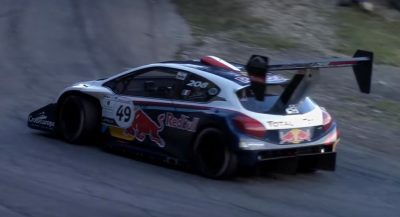 Engine options are expected to carryover from the Hyundai i30 so options could include a turbocharged 1.0-liter three-cylinder with 120 PS (88 kW) and 171 Nm (126 lb-ft) of torque as well as a turbocharged 1.4-liter four-cylinder with 140 PS (103 kW) and 242 Nm (178 lb-ft) of torque. 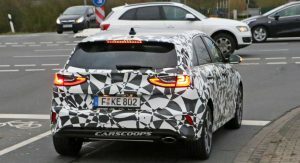 There could also be a 1.6-liter diesel engine with outputs of 110 PS (80 kW) and 136 PS (110 kW). 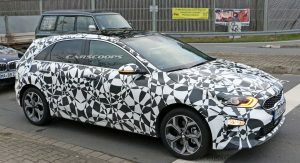 The Cee’d will eventually be joined by a Sportswagon variant and rumors have suggested a shooting brake is also in the works. 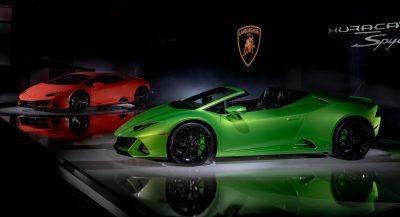 Glad the cee’d and Forte finally look similar. 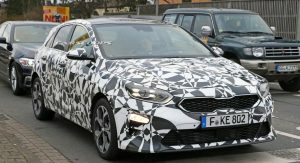 I assume this will be the new Forte5 because it looks so much like the new Forte.